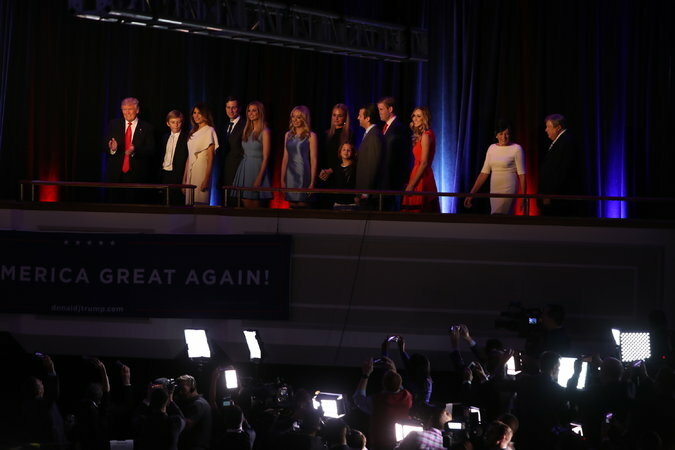 Mr. Trump appeared with his family at his election night party at the Hilton Midtown in New York City. In Mr. Trump, a thrice-married Manhattanite who lives in a marble-wrapped three-story penthouse apartment on Fifth Avenue, they found an improbable champion. Mr. Trump boasted, in a 2005 video released last month, about using his public profile to commit sexual assault. He suggested that female political rivals lacked a presidential “look.” He ranked women on a scale of one to 10, even holding forth on the desirability of his own daughter — the kind of throwback male behavior that many in the country assumed would disqualify a candidate for high office.